Floh: Floh Fun: Riddles & Giggles! Floh Fun: Riddles & Giggles! Do you fancy yourself a riddle master? Excellent at solving things and putting the pieces together? Do you enjoy laughing at silly answers (who doesn’t?) Then this event is perfect for you! 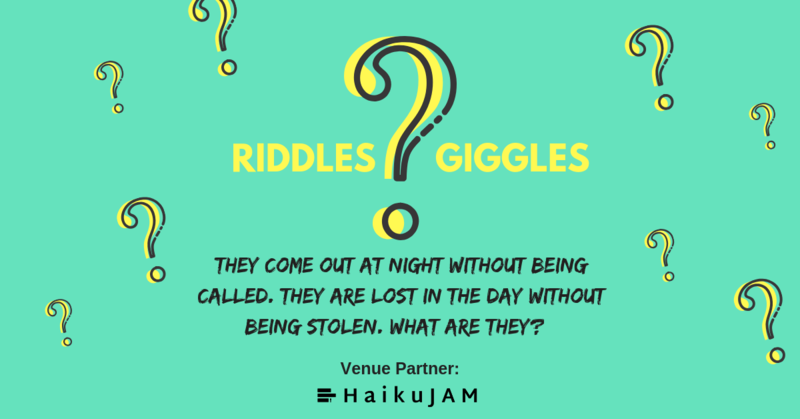 Indulge in some giggle silly riddling with your team and see if you can beat the riddle master! Sign Up Now for this truly fun event! Price includes a riddle session with plenty of snacks and giggles. All beverages are pay for what you consume.